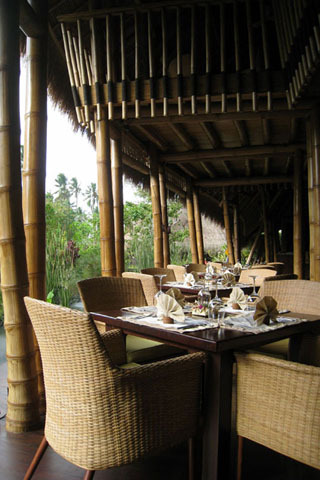 Fivelements, Puri Ahimsa is set right on the banks of a gushing river a 20-minute drive from Ubud proper. It's been quiet on all three of our visits here, but that doesn't put us off recommending it as the menu has been so thoughtfully designed, with real attention to nutritional detail. Want milk with your coffee? Would that be cashew, almond, or coconut? The tasting menu is good value. Sealing the deal: an amazing house-made chocolate. Alcohol-free. A bit tricky to find, but tie it in with a visit to the John Hardy jewellery workshop nearby to make it a half-day out (or try their spa — pricey, but they have some very unique treatments on offer).